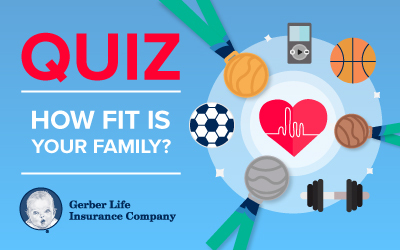 How Physically Fit Is Your Family? As a parent, you want your child to be healthy and happy. Yet, obesity impacts one in six children and adolescents in the United States, according to a report from the Centers for Disease Control and Prevention in 2015. How to inspire your son or daughter to adopt healthy habits? Lead by example. Family Health & Fitness Day is Sept. 24, 2016 – what better time to tally your family’s health and fitness? 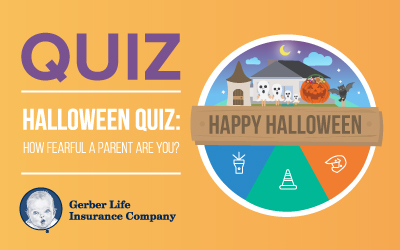 Take this quiz to find out how you’re doing, and for some tips on how your family unit can grow even stronger. How Well Do You Remember Lessons Learned in Elementary School? Do you sometimes struggle when helping your younger children with their homework? During grade school, children are taught the foundations of core subjects, such as reading, writing, math and science. If you’re like many parents, there was probably a time in your life when you knew all the parts of speech or had all of your multiplication tables memorized. 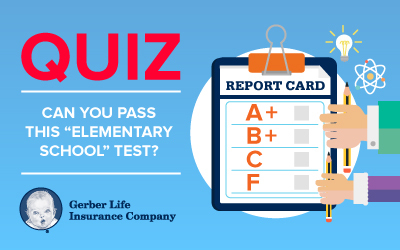 Of the many lessons learned in elementary school, how much do you actually remember? At the end of another school year, many families breathe a sigh of relief. The hectic days filled with exams, class projects and extracurricular activities will soon be replaced with long days, warm nights and, hopefully, a little R&R. Don’t put the pens and pencils away just yet! It’s time to develop a plan to help prevent summer learning loss. Potty training is tricky business. Some parents of toddlers will try almost anything to get their child to use the toilet. Because every child is different, finding a potty training method that works for your child is key. Incentives may help to motivate some children in some circumstances, while other children simply may not yet be ready to give up diapers.